The “Grand Dame of the Sea”—as Wentworth by the Sea is affectionately known—has set the model for coastline New Hampshire accommodations for over a century. When it opened in 1874, Wentworth was the largest wooden structure on the state’s coast, a hub for social, business and political luminaries from around the world. The famed “Ship Building,” modeled after the elegant ocean liners of the day, was exceptionally popular and offered sunning ocean views, but every part of Wentworth is remarkable—the property is poised high above a bluff overlooking the ocean and river below, affording each guest room and suite with ocean and/or harbor views. Though the building did fall on hard times in the 1980s, the Herculean efforts of a coalition of preservationists, community supporters and the non-profit Friends of the Wentworth executed an extensive renovation. Today, this Victorian lady has been fully restored and remains an enduring example of gracious hospitality merged with the most modern of conveniences. 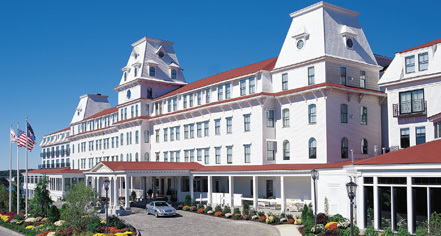 Wentworth by the Sea, a member of Historic Hotels of America since 2004, dates back to 1874. In 1905 the hotel hosted the signers of the Portsmouth Peace Treaty, ending the Russo-Japanese War. Cancellation Policy: Free cancellation up to 3 days (72 hours) before reservation, after that one night's stay plus tax fees will be charged as a cancellation fee. Deposit: Credit card number is required to hold a room, will not be charged at time of booking unless stated. 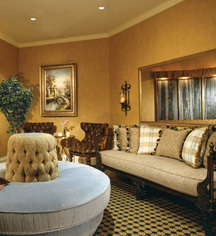 Extra Person Fees: Our rooms are based off two guests per room after that there is the extra person fee of $15. This will be noted on each reservation however we do not charge for an extra person fee. Hotel/Resort Fees & Taxes: All reservations are subject to a City/State Tax of 9%. Occupancy Restrictions: Varies by room type. The largest unit available on-property can accommodate eight (8) people. Deluxe Room: Max Occ. :4; Premium Water View: Max Occ: 4; King Suite with separate bedroom, living area: Max occ. :3; king suite with water view, separate bedroom, living area: max occ. :3; one bedroom marina suite: max occ. :4;Presidential Suite: max occ. 4; West Turret Suite: max occ. : 2; Two Bedroom Marina Suite: max occ. : 6; East Turret Suite: Max Occ. :2; 2 Bedroom Marina Suite Villa: Max Occ. : 8. Parking: On-site parking is available on a complimentary basis. Self-parking: Available. Valet parking: Available; $5 per day. Pet Policy: Service animals allowed: Yes. Pets allowed: Yes. Restrictions: Maximum amount: 30 lbs. Fees: $50 per stay, per dog. The “Grand Dame of the Sea”—as Wentworth by the Sea is affectionately known—has set the model for coastline New Hampshire accommodations for over a century. When it opened in 1874, Wentworth was the largest wooden structure on the state’s coast, a hub for social, business and political luminaries from around the world. Learn more about the History of Wentworth by the Sea .